Sunrise Stand Up Paddle Boarding class , taught by Stanton. Word-of-mouth is often the best way to hear about new places, especially from someone with firsthand experience. And that’s what led me to Phuket Cleanse, a boutique wellness retreat on the southernmost tip of Phuket. A couple of years earlier I’d seen promotional email flyers in my inbox from Phuket Cleanse, which to be honest, I’d barely looked at. As a journalist I’m on so many mailing lists and get dozens of marketing emails every day. So the word-of-mouth version was much more compelling than an email flyer. I was on holiday in Koh Samui chatting with other travellers about wellness retreats in Thailand when a girl from London started raving about Phuket Cleanse. “It’s such a fun place!” she gushed, “It’s so social and has a great energy, and the owner Stanton is so funny! He can walk in and light up the whole room! He’s so happy and makes everyone laugh!” She gushed on like this with real enthusiasm and all I heard was “Stanton, Stanton, Stantonnnn!” echoing in my ears, like some kind of siren call for weary souls lost in a sea of flab, looking for their wellness lighthouse. (And I still hear it, even more loudly, after having been there). The mood is high after a beach workout class. Okay. That hooked me. I was intrigued. I had just kick-started my new year / new me fitness and weight loss effort and still had a long way to go to get back to my slim former self. I knew I needed more help. The Phuket Cleanse website was upbeat and welcoming, and revealed an amazing range of fitness, yoga, and meditation classes, nature and beach activities, cooking classes, plus holistic therapies, energy healing, massages and healthy vegan food. The range of offerings was amazingly varied and abundant. How could one place offer so much? So, not long after that, I was on my way to Phuket Cleanse to find out. All staff and new guests have their photos posted on the wall so that everyone knows each other. Phuket Cleanse is the funnest, happiest vegan health resort I’ve ever been to. I have to explain here that I’m not vegetarian or vegan, and in my personal experience, vegetarians aren’t the happiest people. The ones I know process the world through a prism of things they can’t eat, and are difficult to enjoy eating with because they exude such tension about food. I’ve endured some uncomfortable meals where the vegetarian person sits in stony martyrdom, unable to eat anything on the menu, while insisting the rest of us go ahead, because they aren’t hungry anyway. They also seem to develop anemia and health issues from lack of iron and protein, despite eating so many beans. Vegan meals at Phuket Cleanse are beautiful and delicious and packed with flavour. I’m not making gross generalizations. I’m describing real people that I actually know. Being Asian, I love food, and find it stressful eating with people who are food restricted. And vegans are severely food restricted. But at Phuket Cleanse I didn’t even notice the food was mostly vegan because it was so delicious and nutritious that I didn’t really notice the lack of meat, dairy, or wheat in the meals. The main lounge is the place to relax between classes and meals. The first person I met upon arrival was Stanton, whose tousled blond head popped into the car as soon as the door opened. “Welcome! Welcome! We’re glad to have you here!” he grinned. His eyes glowed with excitement. I don’t know what they’re doing but it must be naughty, with Stanton as the ringleader. Stanton is the life of the party, the heart and soul of Phuket Cleanse. He’s a giant warm puppy with clean cut good looks, bright blue eyes, and a breezy American southern charm that is his default mode. He loves people and people love him. As soon as I met him, I felt like I already knew him, like an old friend. Maybe we’re old souls from a past life. Or maybe he’s my spirit animal. Whatever. Maybe it’s because he looks kind of familiar, as if you’ve met him before. I realized that Stanton looks like a couple of different celebrities, none of whom look like each other. Stanton likes to show his old photo of back when he had long hair and a beard, was overweight, and looked nothing like the current Stanton. 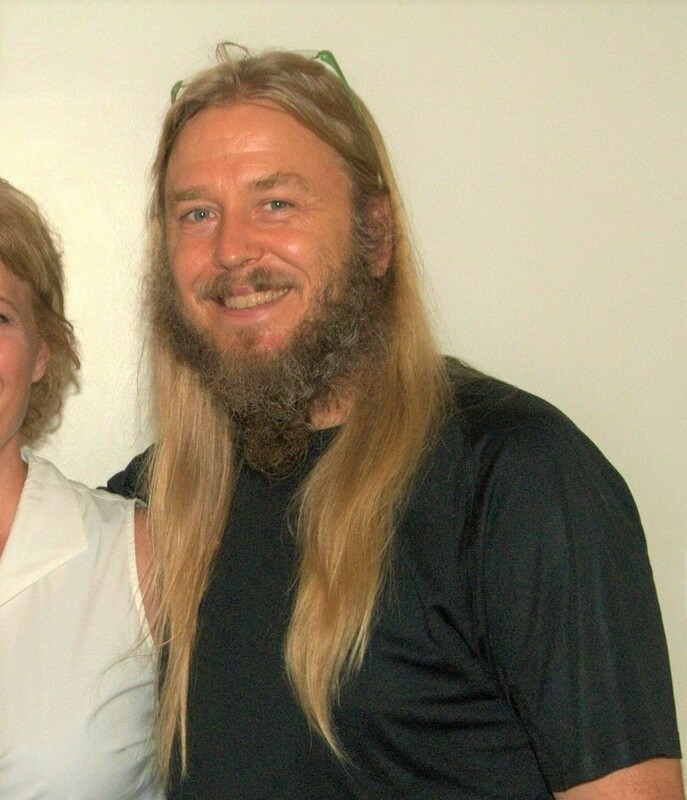 He looked like Gregg Allman, a famous American country music star who was once married to Cher. The current Stanton, sans hippie mane and fat, avec blond locks and healthy tan, looks more California cute dude. “I hope you note how much I look like Brad Pitt” he drawls, eliciting laughter. 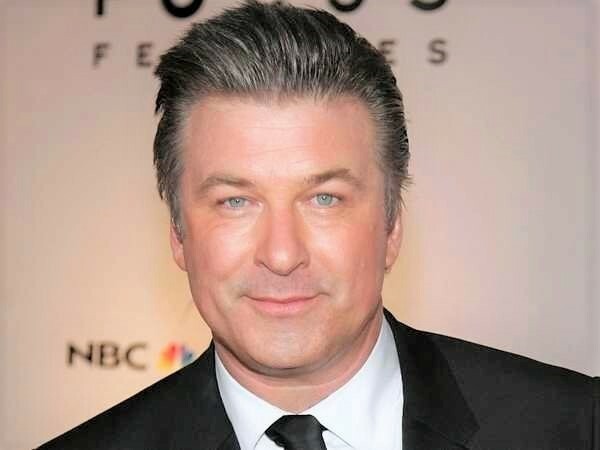 Do you see two Alec Baldwins? In a serious mood, Stanton could sort of pass for another blue-eyed Baldwin brother. 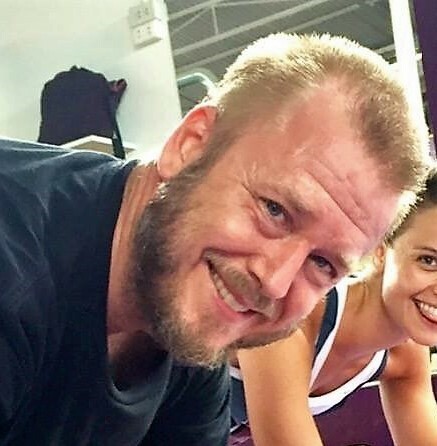 Stanton and his wife Melanie founded Phuket Cleanse after living in Seoul for 20 years, where they were famous English teachers who had written best-selling books and hosted a TV show teaching English. He even speaks fluent Korean. With an interest in wellness, they moved to Thailand and set up Phuket Cleanse, which started off as one villa and now consists of five huge villas housing guest rooms, swimming pools, massage rooms, meeting and workout spaces, spread across a lovely, leafy residential enclave in the laid-back town of Rawai in south Phuket. Every guest starts their stay with a wellness consultation where they discuss their background and health goals, and advised on the weekly schedule of classes and activities. The range of offerings is vast, starting from pre-breakfast sunrise hikes and paddle boarding to after-dinner talks and meditation sessions. Fitness class at the RAW Fitness Gym. There’s an amazing mix of indoor and outdoor fitness, Muay Thai, High Intensity Interval Training, five styles of yoga, aqua fitness classes, and nature activities like hikes, biking, paddle boarding and beach activities, plus daily beach hangout trips and a Sunday boat trip to an island. There are daily cooking classes. Fitness workout on the beach. Aerial yoga is one of the five styles of yoga offered at Phuket Cleanse. Thai massages and foot massages are on offer all day long with guided meditation tapes that are like self-improvement mind programming. And it’s all free. Well, not exactly free but it’s all included in your room rate, so you don’t pay extra for anything. There are really no hidden extra costs here. The only thing you might pay extra for are optional private sessions with any of the therapists, healers or coaches who work with Phuket Cleanse. One of the morning walks took us around this nearby beautiful lake and temple. You can choose to do as much or as little as you want. Some of the classes take place at the same time, so sometimes it’s hard to choose. With so many activities on offer, staying at Phuket Cleanse is an opportunity to do and learn new things you’ve never tried before. It’s really a chance to open yourself up to new experiences, which for many guests led them to reset their bodies and minds, change their careers and change their lives. The Sunday boat trip takes guests to spend the afternoon at a quiet island getaway. The staff at Phuket Cleanse are a huge part of the warm, friendly environment. The team are always ready to help with any guest’s needs or questions. Phuket Cleanse is not a hotel and its unusual setting in a group of private villas creates the relaxed ambiance of a being houseguests in a holiday home. Muay Thai class is taught by professional Muay Thai fighters and trainers. Well hello there…or rather, g’day mate. Meet Chris, your fitness trainer and in-house guest relations team member. All the teachers and coaches are cheerful and good-looking, with fit, athletic bodies that exude good health. In my first fitness class I saw the class trainer, who was wearing shorts and no shirt. “Jeez. Look at his body,” I whispered to my fellow female guest. “I knooowwww!” she hissed back at me. One of the many yoga teachers takes a little pool break. Most of the teachers are former guests who originally came to detox from their stressed-out corporate jobs and alcohol-driven lifestyles, and ended up changing their lives, becoming yoga teachers or life coaches, and returning to Phuket Cleanse to work. It’s always motivating to have good-looking fitness teachers, because I can aspire to get my body looking as good as theirs one day (I don’t need to change my job though. I love my job.). There are lots of repeat guests too, such as Shrey, an upbeat young Indian businessman who was back for his fourth stay in five years and feels like Phuket Cleanse is a second home. Guests come from all countries. Most are Australian, European, and international expats from Dubai and Hong Kong, and a few Americans. The community dining table is always dressed up for a party. The community setting is a chance to open yourself up to new people as well. Meals are family style, with everyone seated around a big table. Many are solo guests, who can easily make new friends in this inclusive environment. The table and the food are decorated in different styles for every meal, so it always looks like a party and you never know what the table will look like from meal to meal. The vegan cuisine is fresh, creatively offers vegan versions of international cuisines, and is completely delicious, with a bit of fish and egg for protein. Meals don’t include dessert, but any time there’s a birthday or anniversary, a vegan cake appears, and this happens quite often. A huge fridge in the lounge offers free water, health juices, protein smoothies, and vegan snacks. Perhaps the most amazing service is the free laundry. Free laundry! Laundry is delivered to your room with same-day or overnight service, because with so many exercise classes, people need to change clothes two or three times a day. A wonderful and unique feature at Phuket Cleanse is the ice bath, part of a recovery station including Far infra-red sauna and steam room. On TV I’ve seen football players jump into tubs of ice water after football games, because ice baths release lactic acid buildup which makes muscles sore after exercise. It also helps with weight loss because the body starts to burn the calories stored in fat to generate heat. Stanton is insistent that guests undergo the proper recovery protocols of ice bath and sauna. The amazing ice bath. French guest Eric could do Vipassana meditation for 10 minutes in the freezing cold water. The ice baths were utterly freezing. Some people could stay in for several minutes or even meditate in there. I could only stay for a few seconds at a time before my hands and feet went numb, but the results were incredible. At other fitness retreats, I was so sore I could barely walk after exercising, but here after the ice bath, I woke up the next day feeling fresh and energized, with no muscle soreness at all. I found that the more I did the ice bath and sauna routine, the better I felt. It loved it because I could feel the results. Different evening talks and meditations are offered daily after dinner. On my first night I joined an educational talk about magnesium, explaining how and why we’re all depleted of magnesium, which is a catalyst for calcium absorption. It also heals inflammation, among other useful health benefits (There’s a jug of magnesium oil at the sauna so you can slather it on during sauna and steam sessions). I was all agog! I didn’t know this! My nails had recently become cracked and broke at the slightest pressure so I immediately bought a bottle of organic magnesium oil and after a few weeks of applying it daily, my dry, brittle nails became noticeably stronger, thicker, and stopped breaking. The talks were popular and there was often a tight squeeze to listen and learn about various useful topics like gut health, goal setting, life coaching, self-improvement, and even a “Life After Phuket Cleanse” talk offering advice to manage your new healthy routine after going back to real life. It was especially inspiring when the good-looking (male) teachers gave the evening talk, because then I could stare at them unabashedly for a full hour non-stop. I don’t remember anything they said. All set up for a cosy and relaxing guided meditation session. After the talks there are guided meditation sessions which Stanton merrily calls “the Hippie Stuff”, which incorporate deep breathing, chakra cleansing, chanting, a bit of energy healing, and various other spiritual exercises that cleanse the body and mind. The sessions usually include candles, music, crystal bowls, and therapeutic scents. It’s the kind of experience that women are curious to try and men usually shudder and run away from. “I’m not into it at all, but people really like it,” chuckles Stanton, who sticks to the Man Stuff like physical workouts and outdoor sports. Just lie down and follow her lovely smooth voice in a guided meditation session. I’m one of the people that really like it. A few of the sessions sounded decidedly ethereal and were a stretch even for me (past life regression, anyone? ), but if you try them with an open mind and relax, you may find tears pouring down your face, your hands and feet tingling, or even your body emitting weird heat sensations. Tears rolled down my face in one session, and my head became very hot in another session, which I was told was my body releasing blocked energy. Some people even have total breakdowns (or breakthroughs, more accurately) and burst out sobbing. It’s all part of cleansing your mind and body of sad or angry repressed emotions that may be holding you back, so that you can move forward in life. A gorgeous way to wake up with a nature hike. You can see Big Buddha on top of the far hill. I gradually fell into my own routine. I was still exhausted from chronic stress and didn’t have enough energy to do all the amazing activities on offer. I was too tired to wake up at 5.30 for the sunrise hikes and paddle boarding. I wondered how the hell so many people did it but finally realized all the Aussies were three hours ahead of Thai time , so it was their normal wake up time. I made hot yoga and Muay Thai cardio my morning routine, which gave me two hours of solid exercise, followed by the ice bath and sauna recovery. Then I took it easy the rest of the day with relaxing activities like meditation classes, cooking class, lectures and massages. Some guests (mostly Europeans) were into the high intensity workouts on the beach, but I avoided the blazing hot UV rays and preferred the indoor exercise classes. Towards the end of my stay, I managed to finally make it to a couple of sunrise hikes, and found it was well worth getting up for. I had a relaxing Reiki with crystal healing and sound tuning session with Anna. I had a private Reiki and crystal healing session with Anna, the lovely Ukrainian meditation teacher and reiki healer. I tried a fat-shrinking body wrap with Brooke the Scottish beauty therapist after hearing about it from another guest who already looked thinner a week after arriving. At the end of my week at Phuket Cleanse I saw results. I lost weight and kept losing weight even after I got home. My arms and hips looked slimmer. I’d arrived at Phuket Cleanse with chronic neck and shoulder pain that were, amazingly, gone by the time I returned home. I attribute the healing to the whole program of hot yoga, ice baths, far infra-red sauna and steam, magnesium, massages, and everything else. My whole body felt lighter and more energized. I looked better. When my friends saw me back in Bangkok afterwards, they stared at me and said “You look great! Your skin is glowing”! They looked impressed. On my last morning at Phuket Cleanse, I was having breakfast with Sunee, a Korean expat from Hong Kong, when the sunrise hiking group returned and tumbled into the dining room. Feeling on top of the world after the Big Buddha mountain hike. Did I look like that after returning from Phuket Cleanse, I wondered. Maybe that’s why my friends thought I looked so great? I did feel great. If there’s any downside at all from my Phuket Cleanse experience, it’s that it was hard going back to real life. I was bombarded with crispy pork, juicy duck, and fried chicken as soon I left Phuket Cleanse. And this was just at Phuket airport while waiting to board my flight. At home it was impossible to exercise. I had so much to do and no time to get to a gym, which required actual free time, plus driving for hours in Bangkok traffic. I wanted to run screaming back to Phuket Cleanse where delicious no-fat vegan food magically appeared three times a day, and I could do fitness classes, nature hikes and massages with no one making demands on me. This is how Phuket Cleanse yoga teachers end the day with a sunset beach hangout. I kept in touch with my Phuket Cleanse mates and messaged my new friend Sunee in Hong Kong. We both found real life hard. We felt our tummy fat creeping back. We wanted to go back to Phuket Cleanse for another round, and try to go again at the same time. I kept in touch with Stanton, who wrote “Hurry up and come back! This is your home in Phuket!” This is why all the teachers are former guests and so many guests keep going back. View from the top of the hill after a very tiring nature hike. Have you been on a fitness holiday? How was your experience? Did you get the results you wanted?